Dr. Snorri Bjorn Rafnsson is an epidemiologist and currently is Research Associate in Ageing and Welfare, Research Department of Epidemiology and Public Health, University College London, UK; Honorary Fellow in Epidemiology, Centre for Population Health Sciences, The University of Edinburgh Medical School, UK; and Adjunct Associate Professor, Faculty of Health Sciences, University of Akureyri, Iceland. Dr. Rafnsson is former Senior Epidemiologist at the Hellenic Health Foundation, a non-for-profit research organization in public health based in Athens, Greece. Dr. Rafnsson has authored a number of original publications in international, peer-reviewed, scientific journals related to migration, ethnicity and health, vitamin B12 deficiency and chronic diseases, and health and well-being of older people. For example, he has participated in primary studies investigating (i) the frequency and aetiology of cardiovascular diseases in migrant and minority ethnic populations in Europe, (ii) the influence of cardiovascular diseases on cognitive function in older people, (iii) the impact of nutritional, inflammatory and haemostatic factors on age-related cognitive decline, (iv) the role of vitamin B12 deficiency in the occurrence of diabetes and cardiovascular diseases in adults, (v) the use of nutritional supplements among older persons, and (vi) social connections and well-being in older adults. 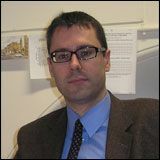 In addition, Dr. Rafnsson has written, or contributed to, review articles and book chapters on topics including the influence of cardiovascular diseases on age-related cognitive decline, the population burden of sepsis and septicaemia, and the susceptibility of South Asians to diabetes and coronary heart disease. Dr. Rafnsson is a Fellow of the Royal Society of Public Health UK, a member of the International Epidemiological Association, an Associate member of the UK Faculty of Public Health, a member of the International Society for Vascular Behavioural and Cognitive Disorders, a member of the Icelandic Epidemiology Association, and an honorary member of the Edinburgh Ethnicity and Health Research group. Dr. Rafnsson is listed in Who’s Who in Medicine and Healthcare, and Who’s Who in Science and Engineering.